Avg. Group Discount of 59.0%! 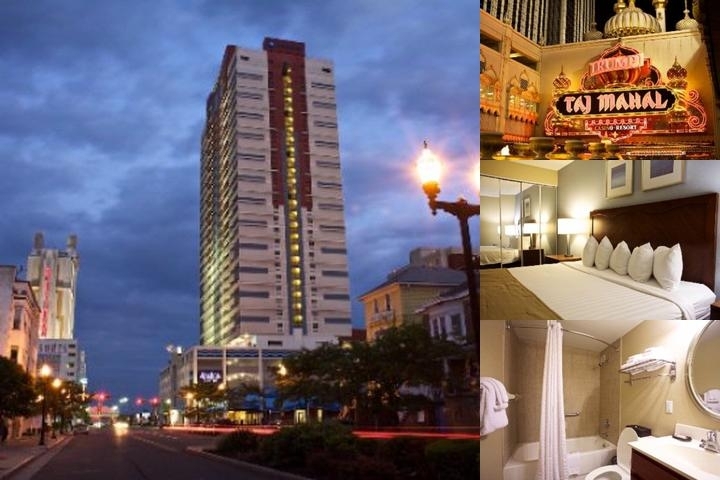 Come experience the excitement of Atlantic City, full of style and sophistication, while comfortably staying at the Skyline Tower. You'll be just a block away from all of the action, with plenty of on-site amenities to enjoy. The Trump Taj Majal, Borgata Hotel & Casino and the famous II Mulino New York restaurant are all nearby. The boardwalk is a treat in itself as well, where you can stroll to watch the sunset or enjoy a traditional ice cream. Many restaurants and cafes are within walking distance, as well as 13 casinos within 5 miles. Whether it's a romantic getaway, girls' trip or reunion, the Skyline Tower is your best bet in Atlantic City. Completely renovated in 2011, this modern hotel features activities sure to please for children and adults alike. There is an indoor swimming pool as well as an outdoor/indoor hot tub. In addition, there is a game room, fitness room, massage services, laundry facilities and cyber café. There is also an organized activities program to keep the kids busy if you want to have some grown-up fun. The rooms themselves all feature full kitchens, complete with cookware, dishware and appliances. Some of the rooms also have clothes washers and dryer, or otherwise you can utilize the laundry facilities. Most rooms also have balconies and whirlpool bathtubs to ensure your optimal satisfaction. Come and see for yourself why this amenity-laden hotel will be your number one pick for this and future trips to come.